When Argan Oil burst onto the beauty scene its popularity increased by its outstanding results. Every company rushed to release a product that contained this super ingredient whether that be in their skincare or hair care range. Positive results could be seen when used on your skin to help combat lines, wrinkles and many more skin complaints you might be suffering from. Shiny glossy hair can be achievable when using an argan oil product to combat dry unruly hair whilst adding super moisture with incredible shine to your flowing locks. Is Your Argan Oil Genuine? Argan Oil is of high cost. Some sellers sell this multi tasker oil as a diluted form or produce a product made with less expensive oils for it to then be labelled argan oil. When buying you can check to see if the seller is reputable and is also certified by a regulated laboratory. Using a less then genuine argan oil product will not only give you less than impressive results it also gives genuine argan oil a bad reputation. Why Simply Argan Is Genuine! Simply Argan visit morocco to find the finest quality organic argan oil and then they test every batch they import in an independent UK laboratory to ensure it meets their exacting standards. Simply Argan also include a certificate of quality and purity to each bottle of argan oil sold, to reassure the consumer its just not any argan oil, its Simply Argan Oil. 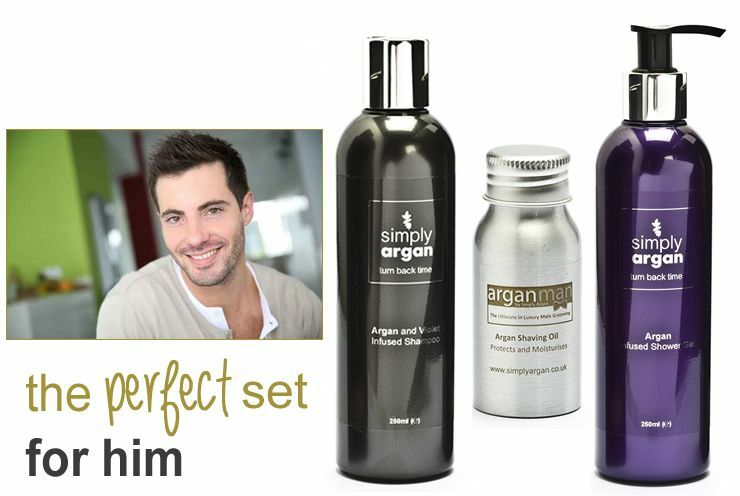 Simply Argan offer a wide range of products for skin, hair, lips and nails. The argan oil is rich in vitamins, anti-oxidants and essential fatty acids. It is also rich in tocopherols (vitamin E, essential for the skin), phenols, carotene's, squalene. The unique blend beats any man made product and you can have piece of mind when using simply argan oil that this product will care, comfort and protect your skin without having to use artificial colouring, preservatives and perfumes. I was kindly sent the Argan Man Gift Set from their highly popular men's range that contains three products for the modern gentlemen of today. 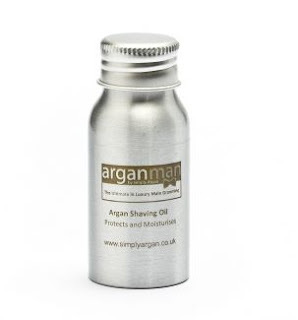 The Argan man luxury shaving oil is great to use after your shaving routine to help protect and moisture your skin. The oil also helps to repair damaged skin whilst also protect against free radicals to help and achieve healthy skin. A must have shaving oil for any gentleman to use after their shaving ritual. The oil soaks into skin immediately and the tea tree oil awakens your senses when used in the morning. 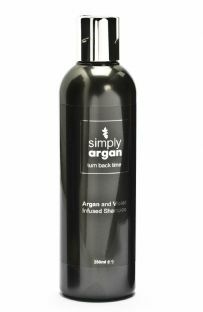 Simply Argan Shampoo is a must have luxury shampoo to treat your locks to a generous amount of argan oil as well as essential fatty acids and vitamin E. The shampoo nourishes your hair as well as delivers essential nutrients to help eliminate dandruff and an itchy scalp. Using this rich argan shampoo will also help to repair split ends and deliver a moisture boost to dry frizzy hair. You only need a little of the shampoo to wash your hair and the smell is heavenly! 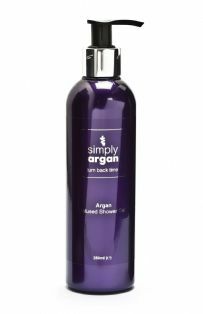 The Argan Infused Shower Gel in a pump purple bottle will cleanse efficiently whilst delivering moisturising properties to the driest of skin. You only need a small amount to cleanse your whole body and the scent is incredible, you have to experience it to find out for yourself! Each product is in high luxury packaging that will look good in any ones bathroom and what i really like is, you only need a small amount from each product to deliver the intended results. I did receive a certificate of authenticity that certifies that the argan oil has been tested for purity and bacterial integrity. Simply Argan are the UK No.1 in argan oil and argan oil products and when you have purchased, you certainly will know, from your other argan products, just how authentic Simply Argan is. X Neil.